The spring show season starts with the fabulous Art Glass & Bead Show in Madison March 22nd & 23rd at the Alliant Energy Center. 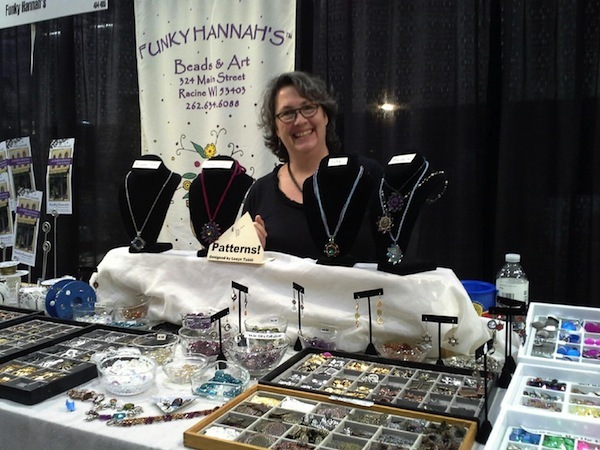 See us the following Sunday, March 30, in Evanston at Ayla’s Wonderful World of Beads Show! We can’t wait! Funky Amanda at our booth in Madison last year. 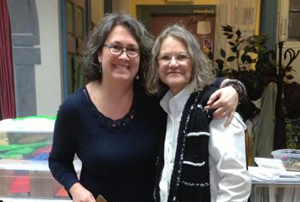 We love doing bead shows because we get to see you and all our other Vendor-friends, like Adele Kimpell of Bead Dreamers!